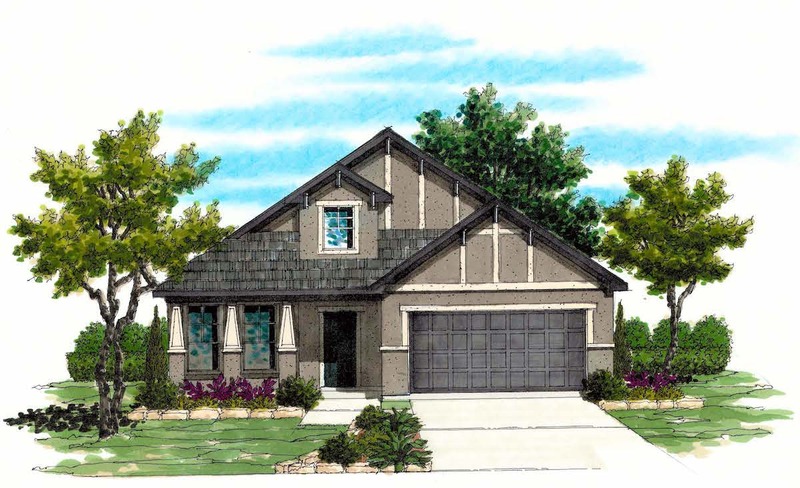 The Lexington floor plan is a beautifully designed one-story home that makes use of space. With a large center kitchen island, butler’s pantry, stainless steel appliances and walk in pantry, the kitchen’s a perfect area for entertaining or relaxing with family. Tucked away in the back of the home, the secluded master suite includes two walk-in closets and a master bath with separate shower and garden tub. Additional bedrooms, bathroom and separate dining room on this plan makes it the perfect single-story San Antonio home. This floor plan allows for the option to add a covered patio, master suite retreat, master bath mudset shower with drop-in tub, den or a fireplace.